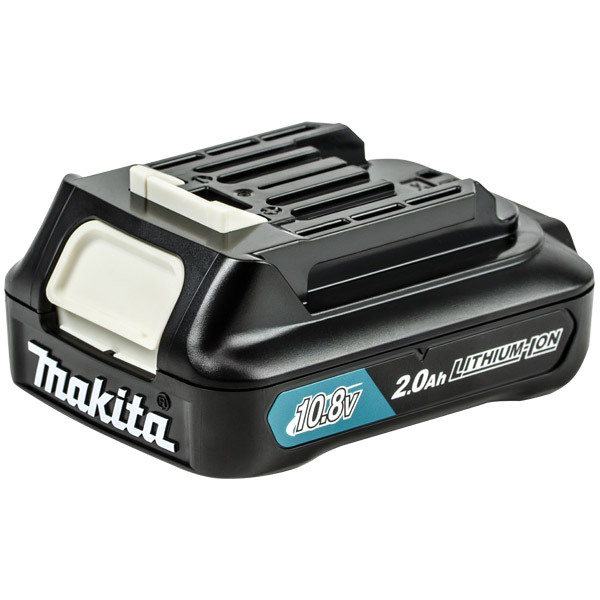 Makita BL1020 10.8v 2.0Ah slide-on battery pack for Makita 10.8v tools. Battery fuel gauge ( 4 stage LED). Note: this is a slide-on battery and is not compatible with the older style 10.8V inserted battery tools.